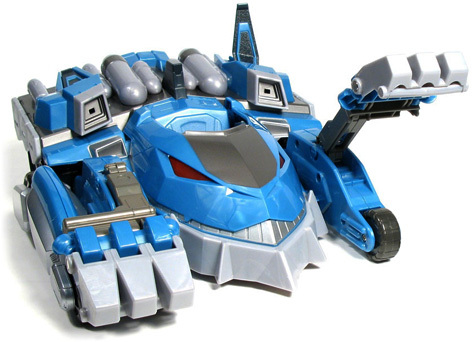 Released in December 2011, the showcase Thunder Tank toy ties in perfectly with the latest ThunderCats series from Warner Bros. Originally conceived in 1985, the updated ThunderCats animation features all the old favourite characters - as well as a few new ones. With an opening cockpit and flashing lights, ThunderCats Thunder Tank gets off to a great start with a special "ThunderCats Hooo!" sound effect. 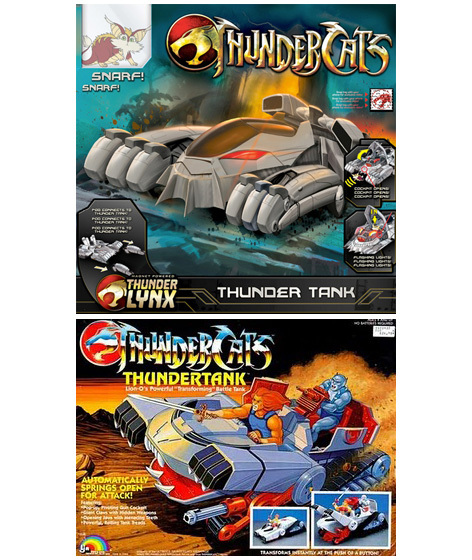 Not only does it include include a four inch tall Thundercats Snarf figure, but also a magnet powered Thunder Lynx Bike and a POD connection - it’s no wonder that kids were clamouring to get their hands on one of these awesome toys. Have a look at the official packaging of the new Thunder Tank toy from Bandai and compare it to the original packaging from the 1980s! 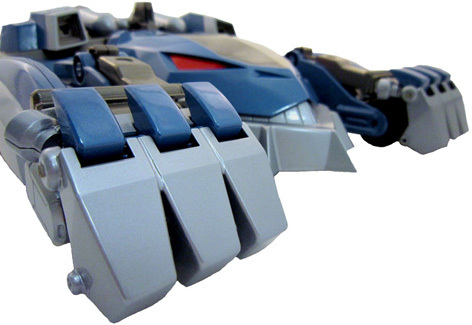 Please tell us what you think of the ThunderCats Thunder Tank by ThunderCats and Bandai.